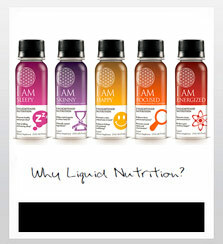 Enjoy an evolutionary, enlightened approach to weight loss with delicious, super nutrient-rich I AM Skinny – the first natural, liquid weight loss formula free of stimulants and artificial ingredients. Let the pounds fall away, as each easy-to-absorb drink helps diminish your appetite, revitalize your metabolism and increase your overall sense of well-being. Our advanced synergistic formula contains clinically-proven, natural super-ingredients featuring WellTrim IG (African Mango Seed Extract) to decrease appetite and enhance metabolism. Combined with Kokum Fruit, a noted fat metabolizer, and ChromeMate®, a superior, highly absorbable chromium that helps maintain blood sugar levels, I AM Skinny provides the support you need as you move easily toward a slimmer body and radiant new look. We’ve also created a unique 5 Day Plan to make it even simpler for you not only to lose weight, but to develop a new, positive lifestyle approach that supports you on a daily basis in meeting your goals and sustaining healthy weight loss. Perfectly flavored with organic raspberry and naturally sweetened with stevia, you’ll enjoy every metabolism-boosting taste of I AM Skinny. Kokum Fruit Extract (Garcinia indica) – Provides energy boost without a jittery feeling. Helps neutralize free radicals and regulates the metabolism. 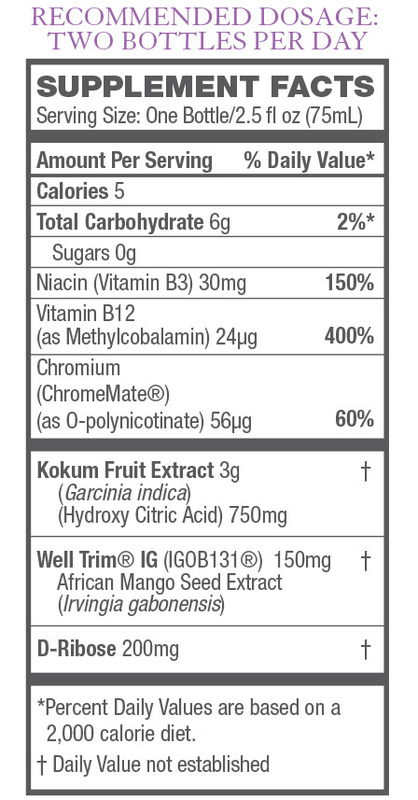 African Mango Seed Extract (Irvingia gabonensis) Well Trim® IG (IGOB131®) - Helps control appetite and enhances metabolism. Supports release of fat and healthy cholesterol levels. Chromium (ChromeMate®) – Promotes healthy blood sugar metabolism and cardiovascular health. D-Ribose – Plays a key role in metabolism and sustaining energy. Vitamin B3 – Aids in the functioning of the nervous system. Niacin – Vital to the nervous system and supporting carbohydrate metabolism. Vitamin B12 – Essential to the nervous system and energy production. Recommended Dosage: Enjoy up to two bottles per day.